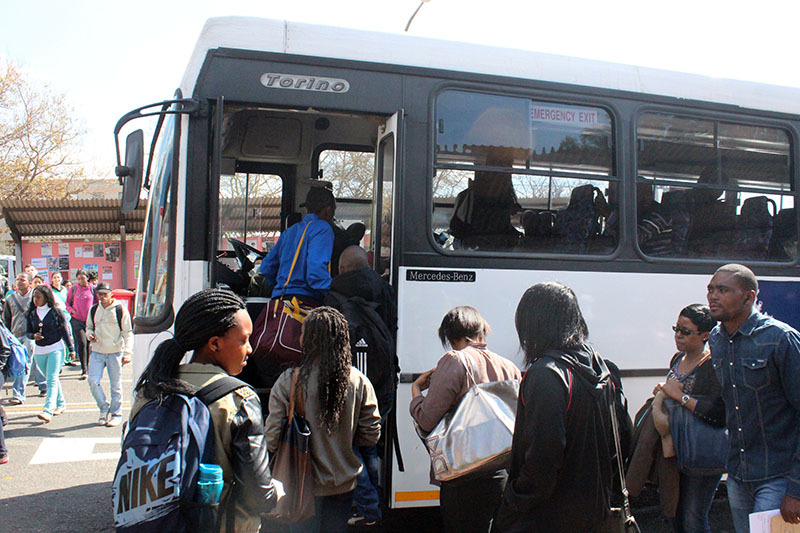 Witsies use various modes of transport to travel to and from campus everyday. Some take 15 minute walks, while others have to travel for up to two hours. 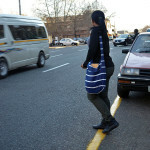 Wits Vuvuzela went out to bus stops, popular taxi pick up points, pedestrian crossings and trains stations to find out how the commute is for students and staff. Bapeekee said it took him “half hour tops” to make the commute. He said he left home at 7.15am. “I try to be early for my lectures”, he said as a smile grew across face. 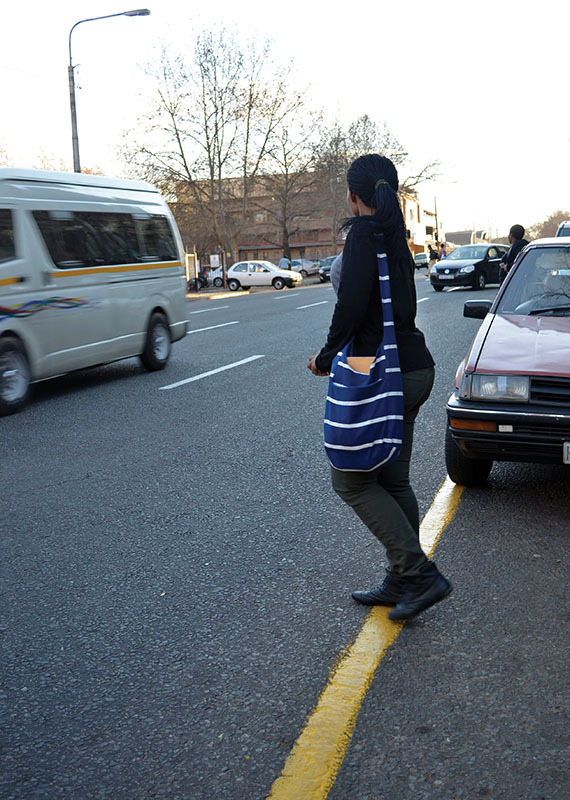 A short brisk walk is all it takes for Ntombi Mbatha, 1st year BHSc, to get to and from campus. 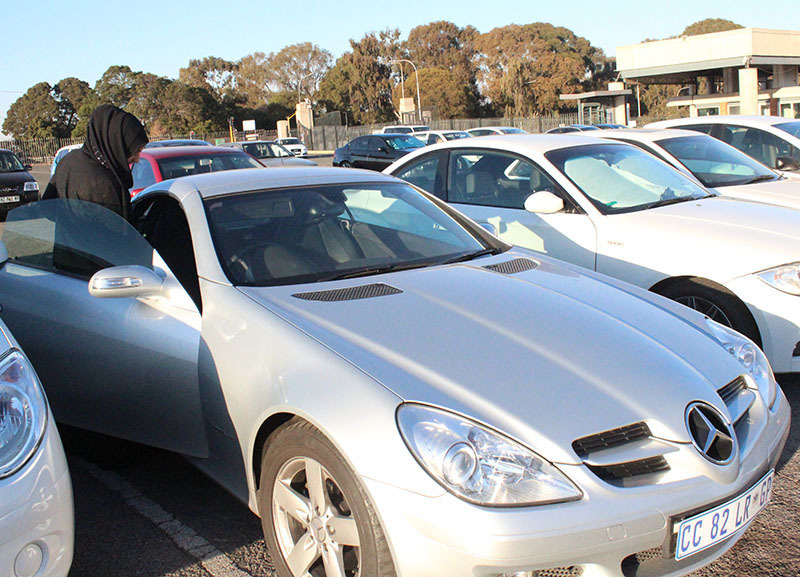 She lives at a Southpoint building just two blocks away from campus. 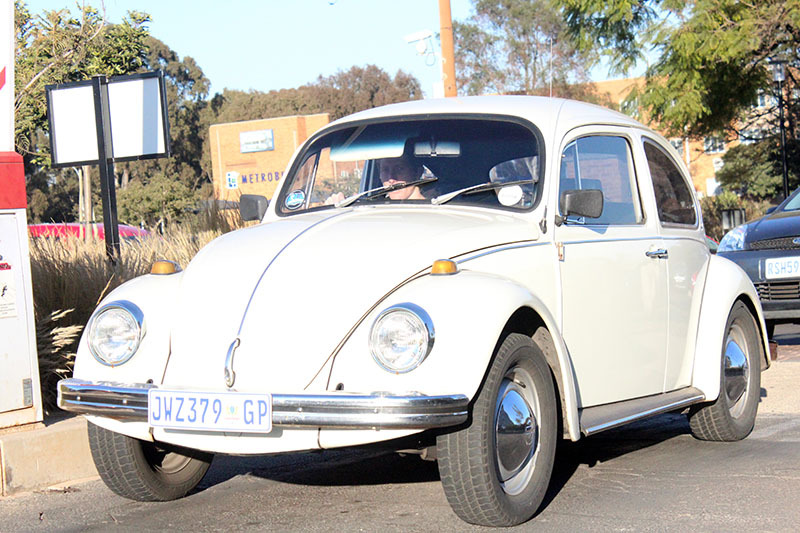 Even though her journey is uncomplicated she nearly got hit by a taxi once. She said that experience has made her think more than twice before crossing the street now. She is fascinated by the high school students she passes on her way because they remind her of her days as one of them. 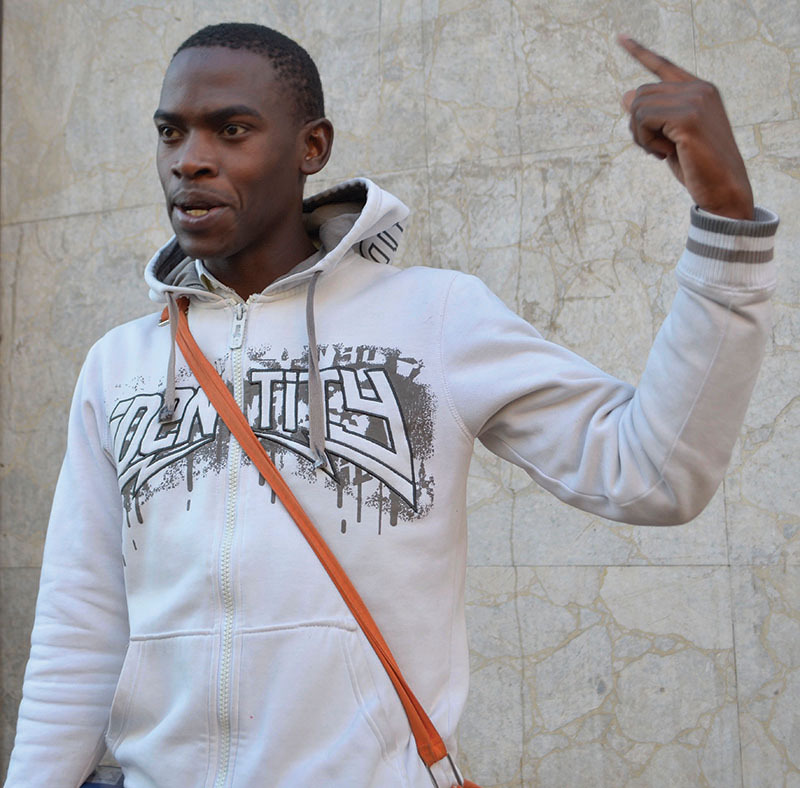 Ntombi feels very safe walking in Braamfontein. 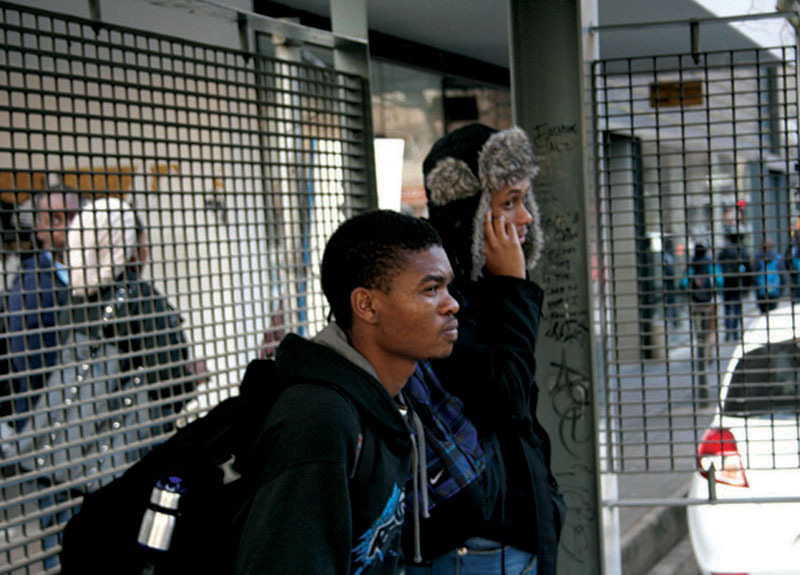 “I went downtown once and it was just such a mess, Braam is better,” she said. 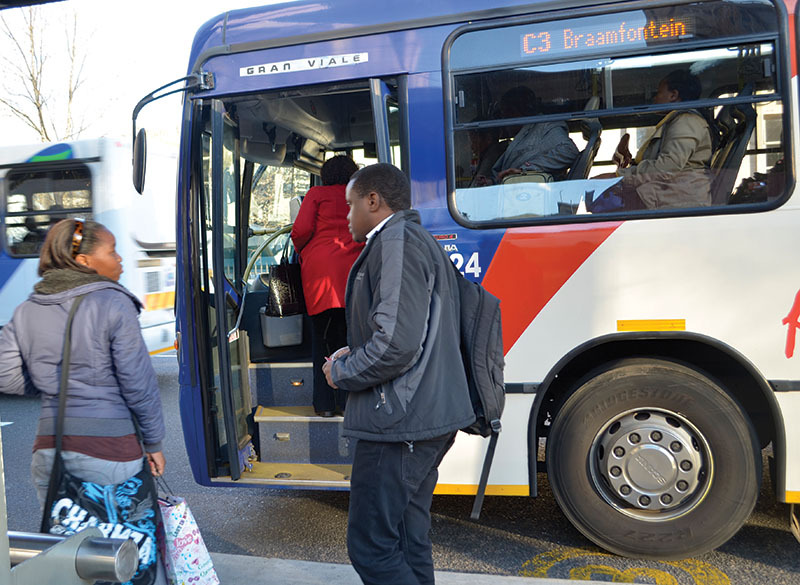 Students aren’t the only ones who have to commute to and from Wits. 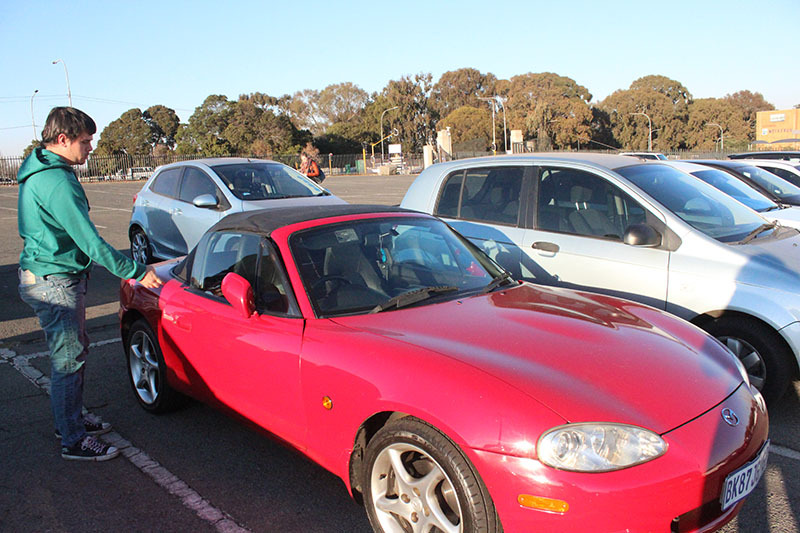 Staff members also have their own transport missions. 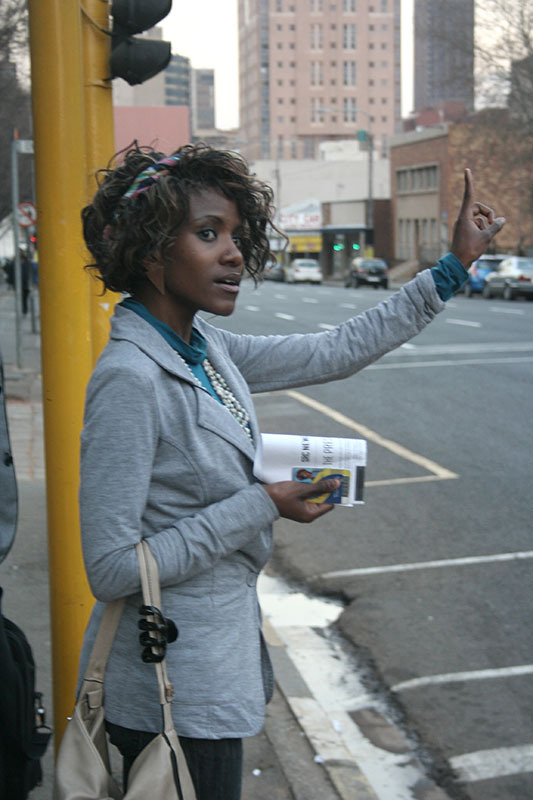 Ngake Mukgowane is a Wits staff member who uses the train to commute. He leaves his home in Dobsonville at 5.30am every morning and has to travel for about an hour and a half to reach Braamfontein station. 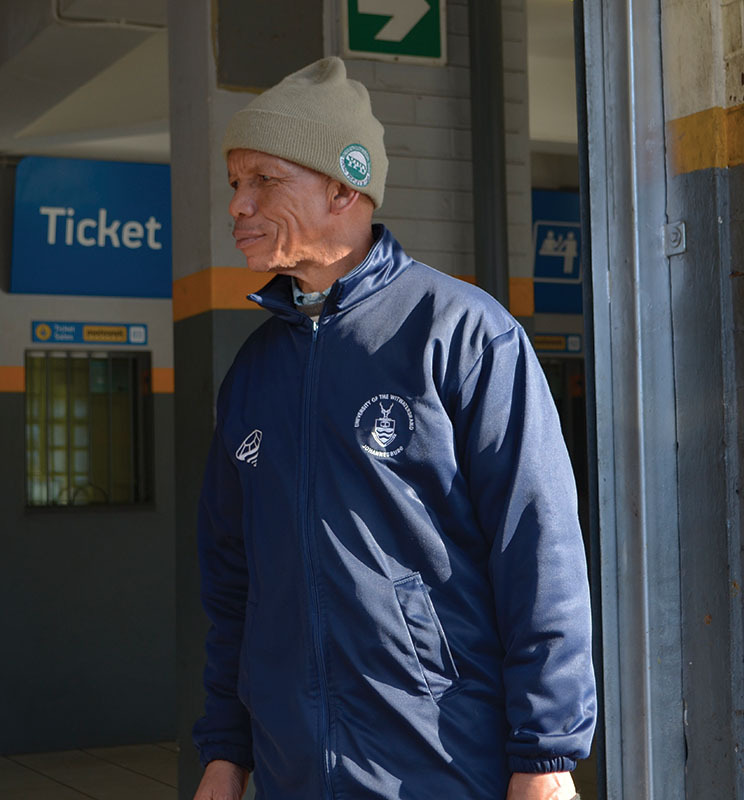 Mukgowane has been working at Wits for 18 years and has been a train commuter for most of those years. 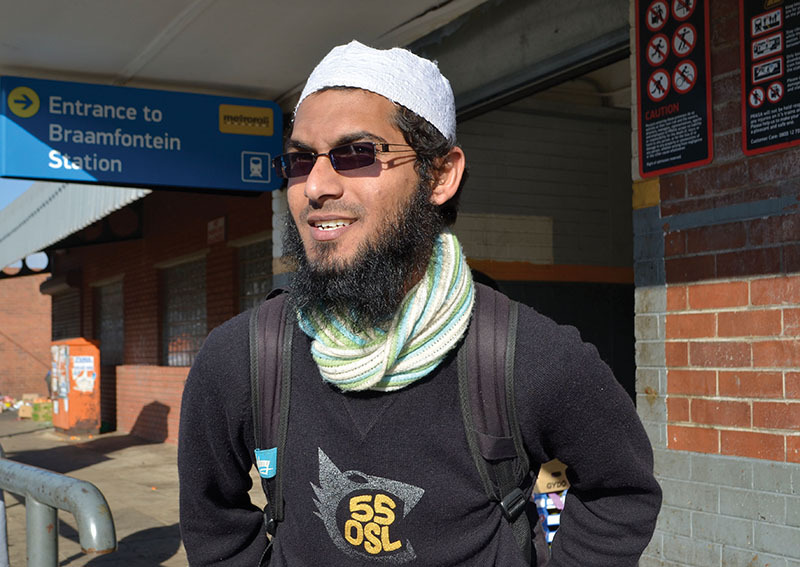 He was in a rush to catch his 4pm train when Wits Vuvuzela reporters found him. has to commute for at least one hour a day to get to campus. 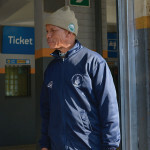 He says that he is more than willing to make the trip because of the good reputation that Wits has. John lives in Tembisa. 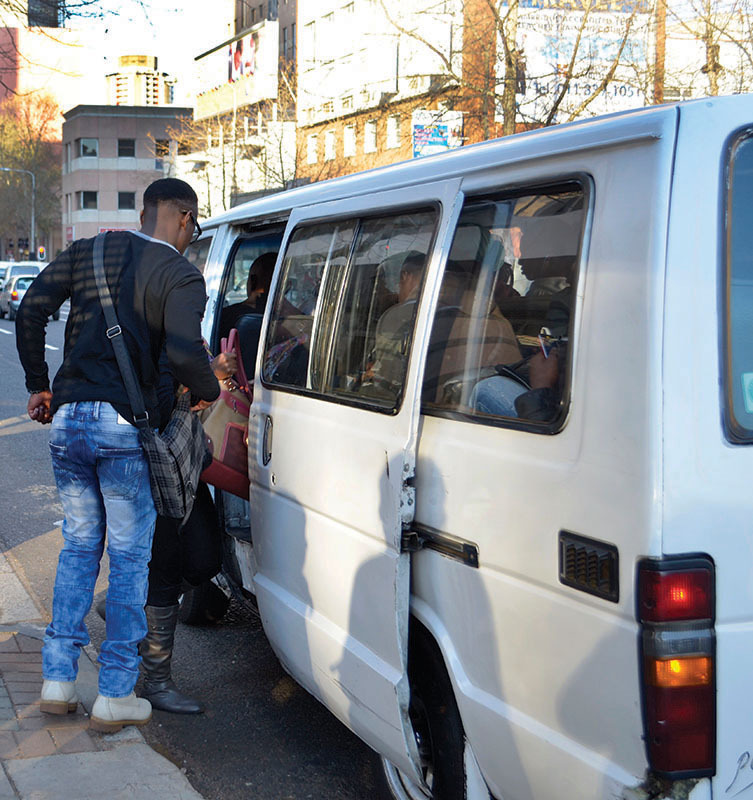 There is no taxi that comes straight from there to Wits, so he has to walk for another 15 minutes once he reaches Noord taxi rank. He wishes he lived a little closer so that he could work and study till late on campus like other students. 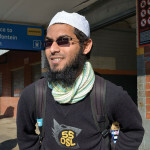 “It’s hard travelling for two hours a day,” said Malungani.